Rent 1102 EAST | Corporate Events | Wedding Locations, Event Spaces and Party Venues. 1102 EAST is home to lush gardens and award winning design. It's the perfect location for photo shoots, screenings, filming, live music, launches, markets, weddings and parties of every kind. The large outdoor space allows for all kinds of creative set-ups. 1102 EAST is home to lush gardens and award winning design. It's the perfect Austin location for photo shoots, screenings, filming, live music, launches, markets, weddings and parties of every kind. The large outdoor space allows for all kinds of creative set-ups and bistro string lights provide beautiful nighttime ambiance. This classic 1930s homestead has been restored to accommodate private dinners, art exhibits, bridal party preparation, pop-ups and other creative events. Hardwood floors and crisp white walls allow for versatility in decor themes for different uses of the space. A charming bathroom area exists onsite. Additional restroom rentals are required for events exceeding 50 guests. Located conveniently just off our alley, the "Back Forty" is a partially covered loading and unloading space for parking, storage, Vendor set up, rentals and catering. Ample power, lighting, garbage disposal and shelving/storage is all provided for events. Designed and built in 2001 by the original Big Red Sun team, the barn-inspired open air structure is framed in steel and set the tone for the up-and-coming Eastside architectural vernacular. 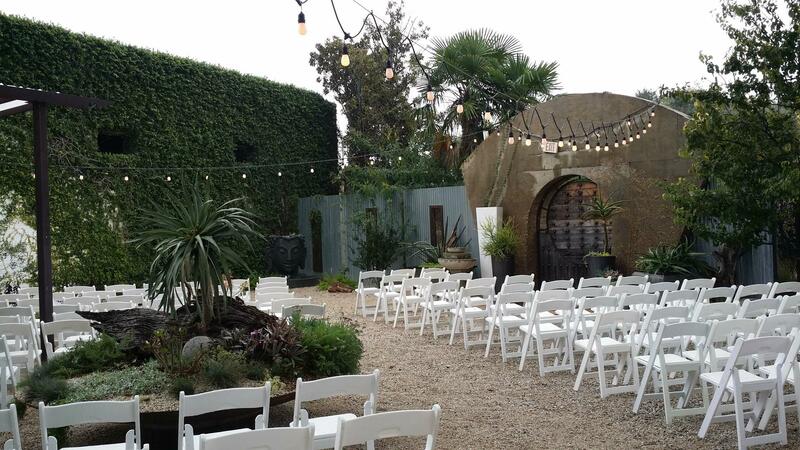 The bodega is the perfect covered space for dinners, ceremonies, live music and dance parties.